Creating masks is a favorite craft time activity for my little ones. This week we created lambs. 2. 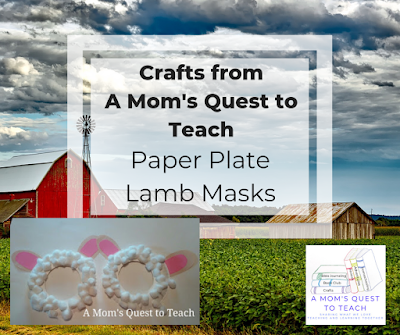 Cut circle out of paper plate to create a mask. 3. 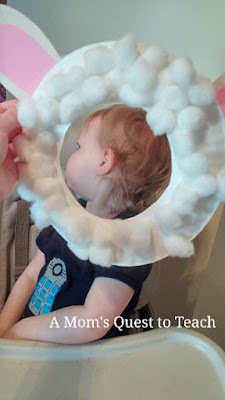 Glue on cotton balls around edges to create fur. 4. 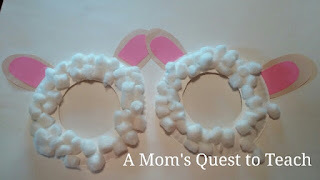 Cut out ear shapes (pink and white). 5. 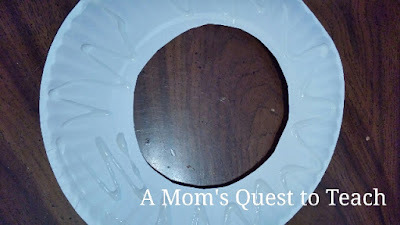 Glue ears onto the back of the paper plates. 6. 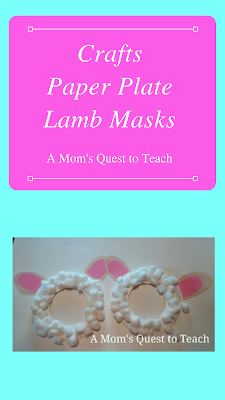 Attach a handle for the child to hold their mask. Our lambs look a bit more like rabbits but that is okay with my kids. They knew they were their lamb masks. Just proves that kids don't really care about the end product, as long as everyone had fun during the process and got to spend time together. And in the end, my daughter didn't want to use her mask for a photograph. 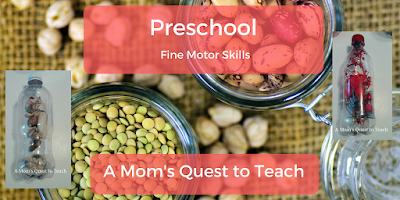 Looking for more activities for your preschooler or toddler? 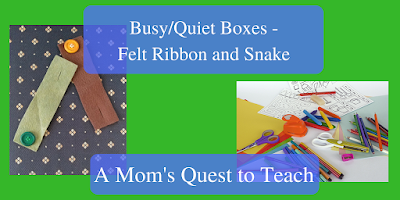 Work on fine motor skills by creating weather bottles or practice buttoning with a felt ribbon snake. Thank you! 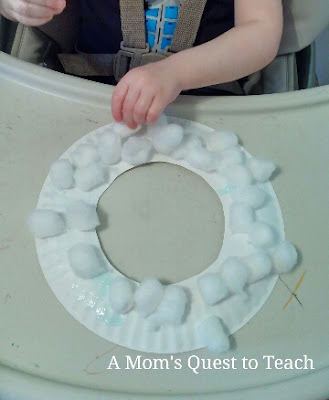 My kids love any craft that lets them get messy. Oh, such a cute idea. 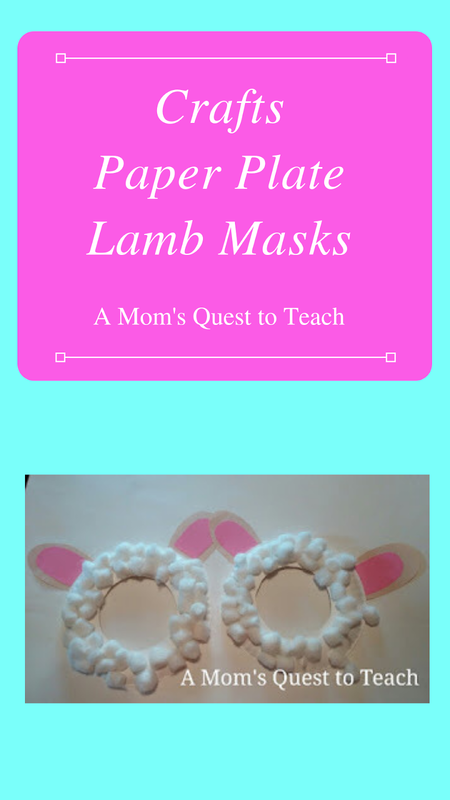 Thanks for sharing over on Littles Learning Link Up. 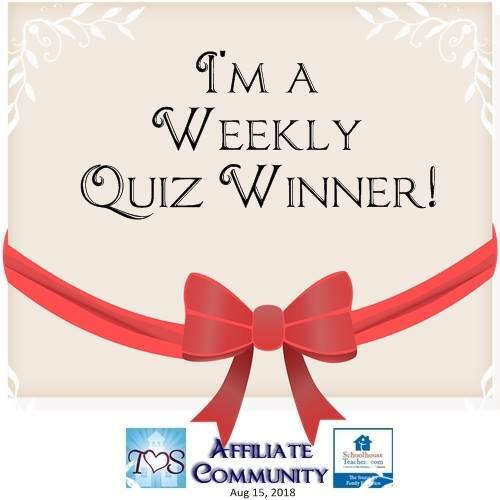 This post is one of this week's featured posts! Thank you! I just wish they didn't look so much like rabbits. Oh, well.